Suitable for savory applications, flavour often too delicate for desserts. 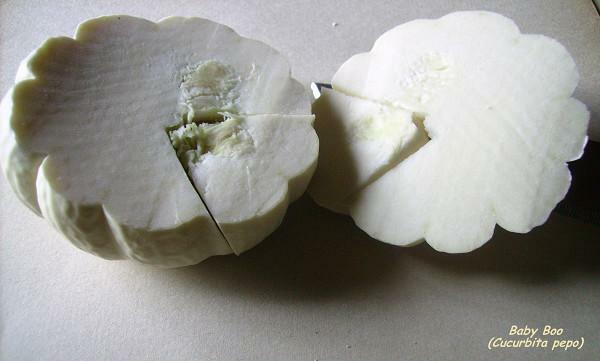 fruit size: 5 to 8 cm in diameter by 2 to 3 cm in height weight : 100 to 200 grams. 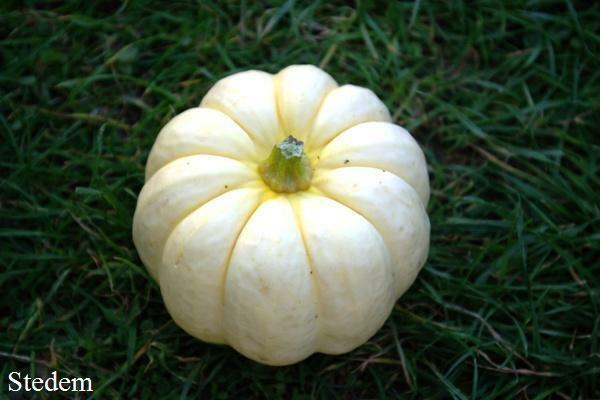 description: Mini pumpkin 5 to 8 cm in diameter and 2 to 3 cm in height. Pure white color with ivory, very ribbed. Productive (8 to 20 fruits per foot). 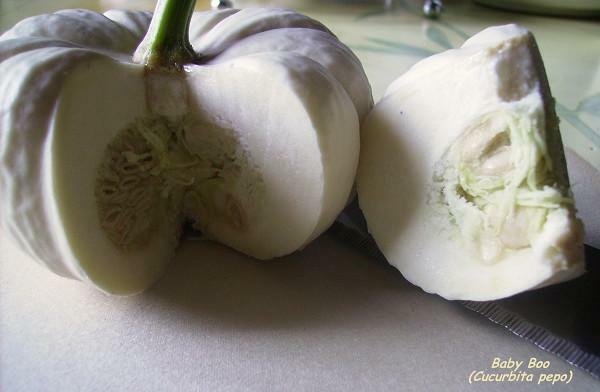 White flesh, not very thick, floury, sweet with a chestnut flavor. growth: 95 days use: Stuffed, fried potatoes, desserts. conservation: 1 year. 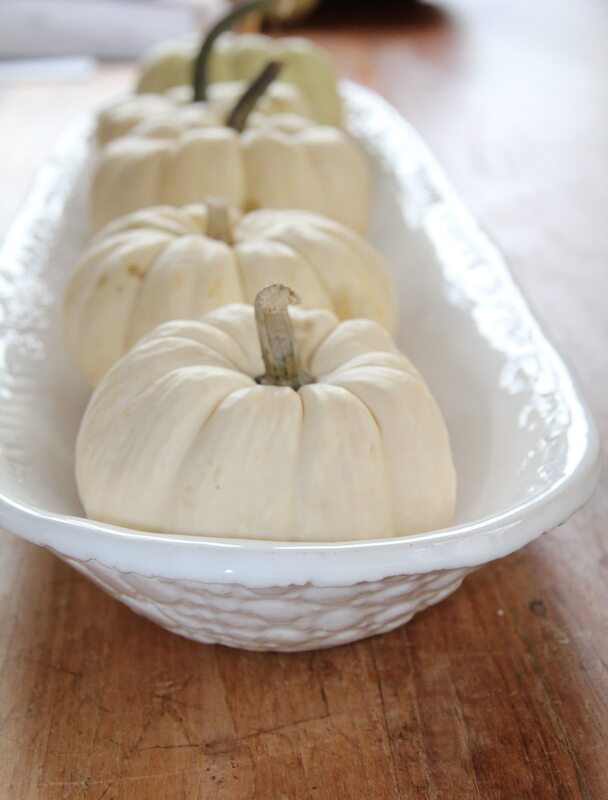 Ghostly white to cream coloring with deep ribbing. 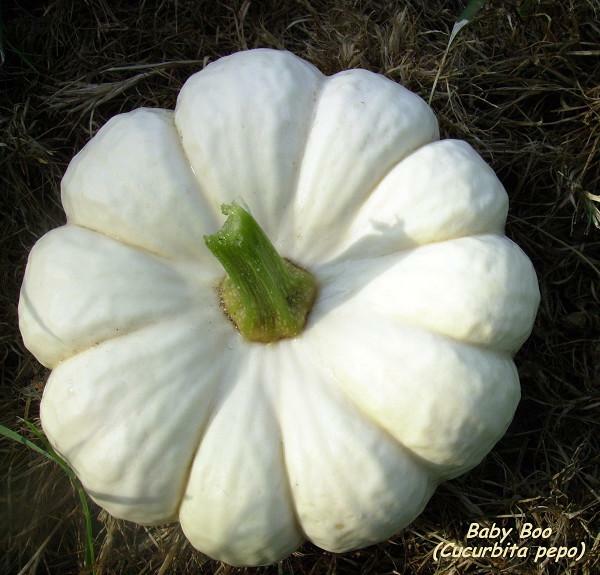 The White Pumpkin�s average diameter is 2.5 to 3.5 inches and approximately 2 inches high. 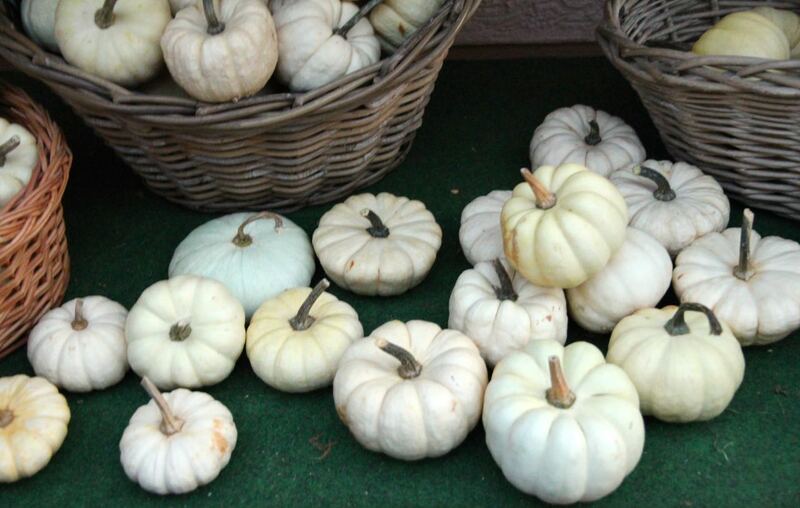 The white pumpkins comes in a variety of shapes, from flat to rounded. 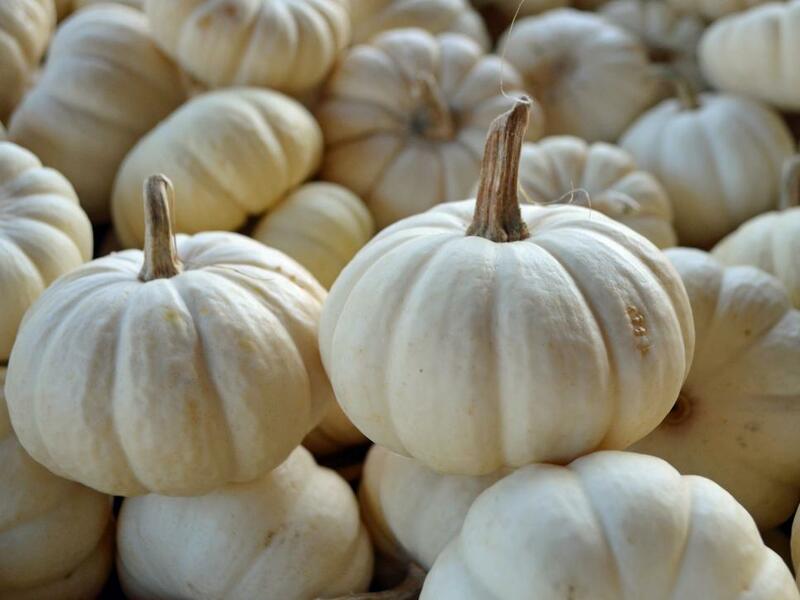 Because of the white color, this pumpkin is only offered in natural. (The wax tends to discolor them). 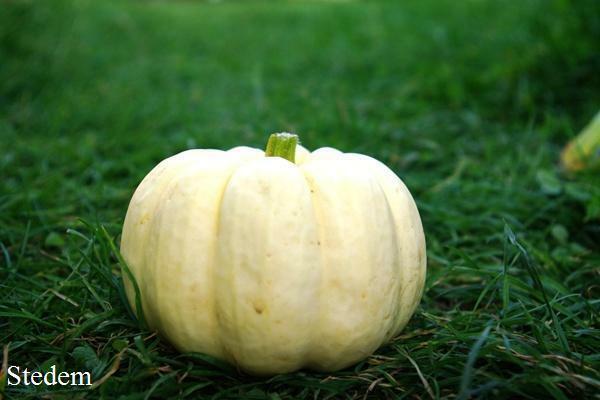 If not protected from the sun after they have been harvested they turn a soft yellow in color. Baby Boo, the male parent of the larger, slightly squat Ghost! F1. 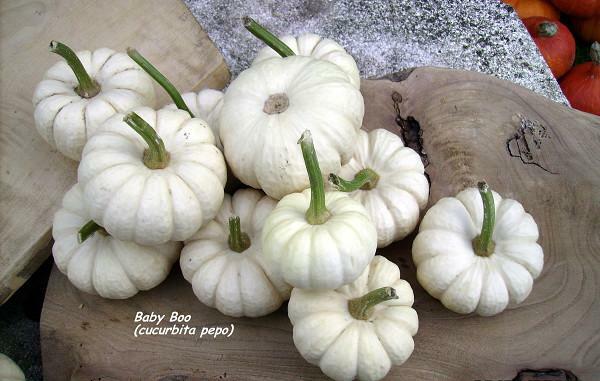 Baby Boo Pumpkins were developed by a John Jaunsem of West Milton, Pennsylvania. Released 1990.